The whole world is deeply saddened by the Dhaka attacks but there’s also an inspiring tale of a hero from the same attacks which may revive the humanity from the hearts of corrupted people. Faraz Hossain, a Muslim student from the university of Emory was also present at the cafe during the attacks. For some reasons, ISIS took some sympathy for him, therefore they offered him a chance to leave the place peacefully and save his life but this Muslim hero did something very unexpected. Along with him, there were also his two female friends, Abinta Kabir, 18, a student at Emory and Tarishi Jain, 19, a Berkeley student. Instead of leaving the place and being a fugitive, Faraz decided to stay there with his friends only to die with him. This information is confirmed by Faraz’s nephew Hishaan himself. 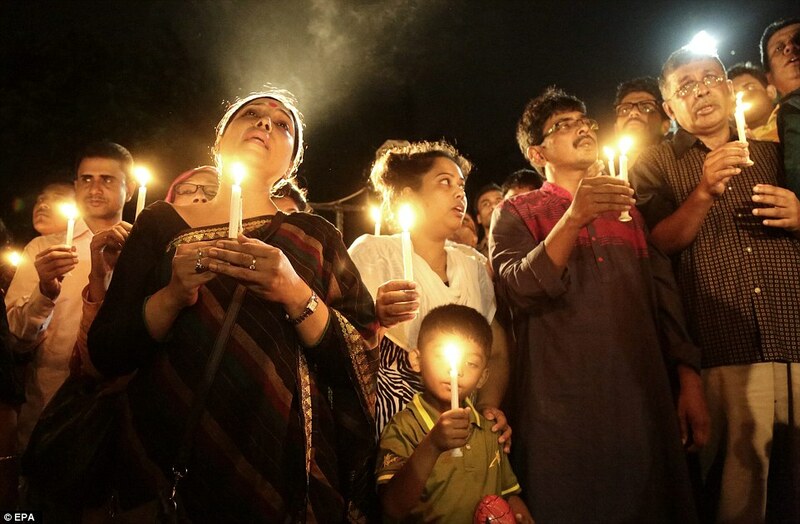 Along with Faraz, 19 other people also lost their lives in these Dhaka attacks which included seven Japanese workers, Indian students and 9 Italian businessmen and women. Two police officers also lost their lives during the gun firing between the police the extremists and only 13 hostages could be saved. The incident was really very shocking for the world and the survivors still have that fear haunting them from inside. Many of the survivors have only informed the media that how the extremists separated muslims from non-muslims and tied explosives from the body of a young boy who tried to escape the attacks.